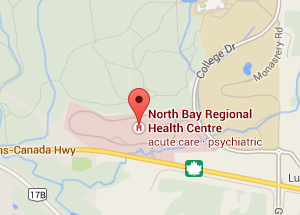 The Communications Department of the North Bay Regional Health Centre is available to the media Monday to Friday (8 a.m. to 5 p.m.). The Communications Department will make every effort to provide requested information prior to the media’s deadline. Lottie Frenssen started volunteering for the North Bay Regional Health Centre (NBRHC) and its legacy organizations for one simple reason: to help people. The North Bay Regional Health Centre (NBRHC) unveiled three revitalized spaces at its Wordplay Jeux de mots site in Sudbury today. 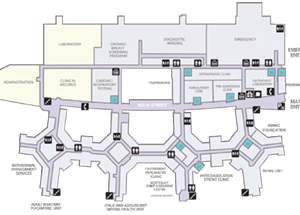 On Monday the first patient at the North Bay Regional Health Centre (NBRHC) will be scanned with the brand new state of the art low dose radiation CT scanner. Today a longtime North Bay Regional Health Centre (NBRHC) volunteer was honoured for his years of dedication to the Hospital. The Mammothon is back for the 11th year of breast screening challenge! If you’re a woman between the ages of 50 and 74 who has put off having a mammogram, Wednesday, June 6 is the day to make time for you and your good health! 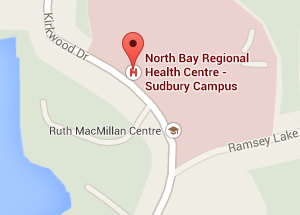 The North Bay Regional Health Centre (NBRHC) has declared a ‘high risk influenza status’ for the Health Centre, including an outbreak on one of our inpatient units. For urgent media requests outside of our business hours (Monday to Friday, 8 a.m. to 5 p.m.) please call switchboard at 705-474-8600 and ask for the Admin On Call.